MADCAT serves to advance the creation of a cyber-security ecosystem that drives technology innovation, encourages economic development and creates a talented workforce for the region. 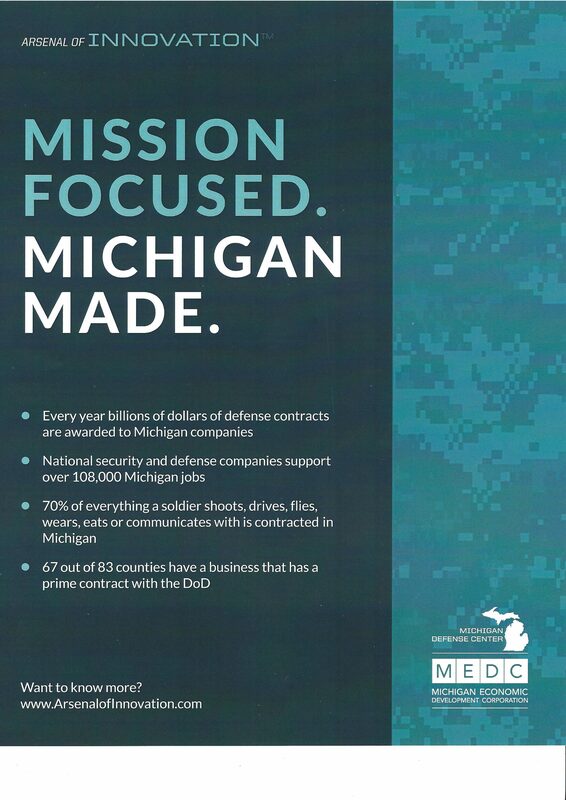 The Michigan Defense Center is tasked with capturing a larger share of DoD and DHS contracts for Michigan companies. The Association of the United States Army, Michigan Chapter provides educational, advocacy and support resources to Michigan personnel of the United States Army and their families. The Michigan Chapter of the National Defense Industrial Association (NDIA) provides a legal and ethical forum for the interchange of ideas between the government and industry to resolve industrial problems of joint concern. 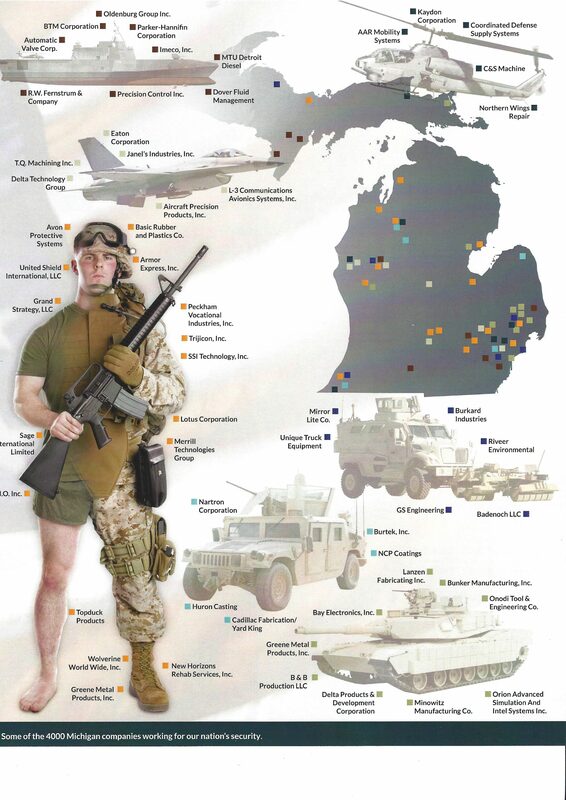 Procurement Technical Assistance Center (PTAC) representatives offer a wide range of services to Michigan companies interested in exploring defense opportunities though one-on-one counseling, bid matching, proposal preparation and follow-on services. The Women In Defense (WID) Michigan Chapter is a non-profit professional networking and development organization for women and men across Michigan who contribute to national defense and security. Michigan Manufacturing Technology Center (MMTC) an organization dedicated to supporting Michigan manufacturers to work smarter, to compete and to prosper. Small Business Development Center (SBDC) enhances Michigan’s economic well being by providing counseling, training and research for new ventures, existing small businesses and advanced technology companies. Society of Automotive Engineers (SAE) U.S.-based, globally active professional association and standards developing organization for engineering professionals in various industries. Michigan Aerospace Manufacturing Association (MAMA) has continued to develop our association to provide greater value to both our members in particular and more generally to the entire aerospace and defense industry.